Sports daily Marca reported that Chelsea would meet the 80-million-euro release clause in Kepa's contract, beating the record transfer fee of 75 million euros which Liverpool paid Roma. MADRID: Athletic Bilbao goalkeeper Kepa Arrizabalaga is set to join Chelsea for 80 million euros (£71.6 million, $92.7 million), according to Spanish media reports on Tuesday. The 23-year-old, who has been capped once by Spain, would be the most expensive goalkeeper in history and the replacement for Belgian Thibaut Courtois, who is expected to leave Stamford Bridge for Real Madrid. Sports daily Marca reported that Chelsea would meet the 80-million-euro release clause in Kepa's contract, beating the record transfer fee of 75 million euros which Liverpool paid Roma for Brazilian Alisson earlier in the close season. "The British club have chosen Kepa as a replacement for Courtois, who in the next few hours will become a new Real Madrid player," wrote Marca. Marca's competitor AS said that "negotiations are very close to closing". 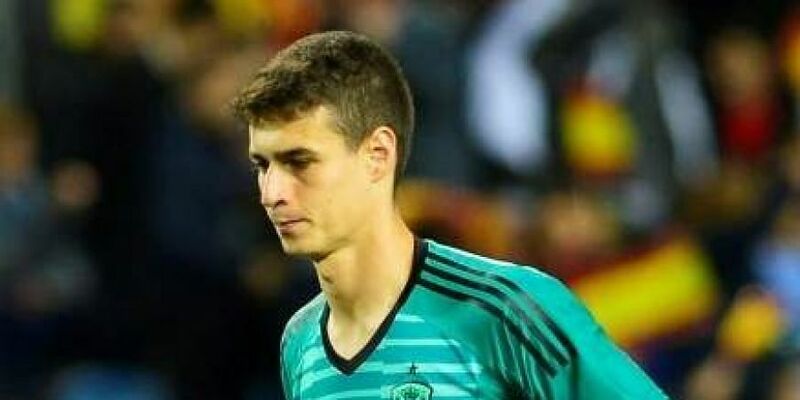 "If everything goes according to plan, Kepa will travel to London to be presented as a new Blues player on Wednesday or early Thursday." Catalan newspaper Mundo Deportivo also reported that Kepa would be signing for Maurizio Sarri's Chelsea. British media also started to report the news later on Tuesday, with the BBC saying that Kepa was in "advanced talks" with the west London club. Kepa has played 53 times in La Liga for Bilbao over the last two seasons, and made his international debut in a 5-0 friendly win over Costa Rica in November 2017. He was also in the Spain squad for the recent World Cup in Russia as back-up to David De Gea, but did not get any playing time. Meanwhile, Spanish media have also claimed that Chelsea could be set to bring in midfielder Mateo Kovacic on loan from Real Madrid after his efforts in helping Croatia reach the World Cup final. Manager Sarri's first serious test on the pitch since taking over from Antonio Conte will be a season-opening trip to Huddersfield in the Premier League on Saturday. The 59-year-old Italian started his reign with a 2-0 loss to reigning English champions Manchester City last weekend in the Community Shield. Chelsea are hoping to recover after a disappointing Premier League title defence last season saw them finish fifth and fail to qualify for the Champions League.